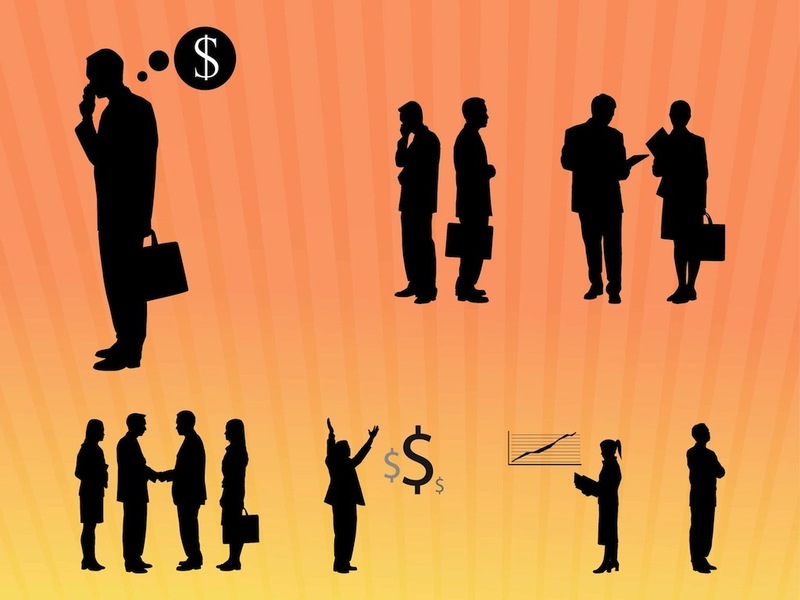 Vector graphics of people in various situations related to working and building a career. Silhouette portraits of people talking, thinking, having meetings and holding presentations. Free vector images for all business, working, career, company and corporate projects. Clear outlines for posters, flyers and presentations. Tags: Business, Company, Conversations, Corporate, Silhouettes, Work.